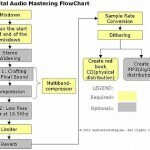 Tags: Audio mastering EQ tips, VST plugin. Here is a tough challenge. 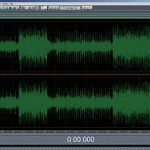 Supposing you want to do audio mastering using completely free software and plug-ins; is this possible? This post will not teach you exactly how to master using these free software/plugins but it will show you all the best tools that you can use without spending anything from your wallet and without sacrificing sound quality. This post assumes you are a Windows OS user. 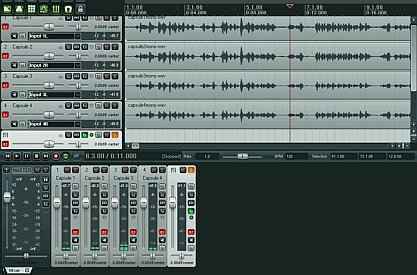 First, the most important requirement is to use software with audio mastering capability. This is often hard to find but looking around the web I found Reaper. a.) Audacity itself is not recommending the software to be used for audio mastering. See it in their “what you can do with Audacity” page. b.) I already used Audacity a lot of times in the past and it offers very short previews of the edited clip. If you configure Audacity to use long previews (which is very essential for mastering because you would need to carefully listen to the result of your mastering settings); the program would run very slow. What other things that should make you consider to use Reaper? a.) It fully supports a lot of VST plug-ins including those that are designed for audio mastering. b.) It has a 64-bit internal mixing engine, so it’s fairly accurate and less error free than 32-bit float counterparts when it comes to digital summing. 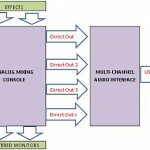 This is important for audio quality. c.) Although Reaper has a 30-day trial period; it would still fully work after that period (with all features, effects, etc.). So if you are going to entirely use Reaper for free, you can do that. But sooner or later, if you are a happy Reaper user I would recommend purchasing a license. The licensing cost is way too low compared to other software used in mixing and audio mastering. d.) Reaper has tons of critical features that you can use for mastering. 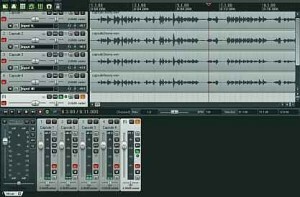 Aside from mastering, you can fully use this software for recording, mixing and even those video-related processing tasks. So before proceeding further; install Reaper first in your Windows computer. It can take some time to get used with Reaper but they have an outstanding community support that is willing to help every user. Also you can find the Reaper documentation here. You can also find related documentation related to Reaper here. The most digital audio music mastering process are as follows: EQ === > Compression === > Limiter. 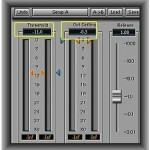 Multi-band compression is also important and could perform both EQ and Compression functionality at the same time. Although you can implement more processing other than the above processes; you can start with just three major steps mentioned. To start with, you need to use an EQ VST plugin. This will be used to shape the sound of your master. 1.) 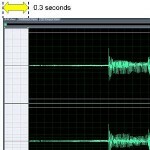 Reaper ReaPlugs includes an EQ tool. This is a parametric equalizer that will let you adjust the sound of your master using the cut/boost values as well as the Q settings. If you are mastering, you should learn the best practices on how to use a parametric equalizer. 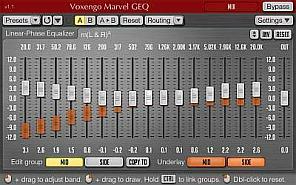 I am a big fan of Voxengo free plug-ins; one of their EQ plug-in that you can use in mastering is Voxengo Marvel GEQ. Although not a parametric EQ; they have superb accuracy and have a 64-bit internal processing. This is a very handy plug-in for very quick EQ adjustments.